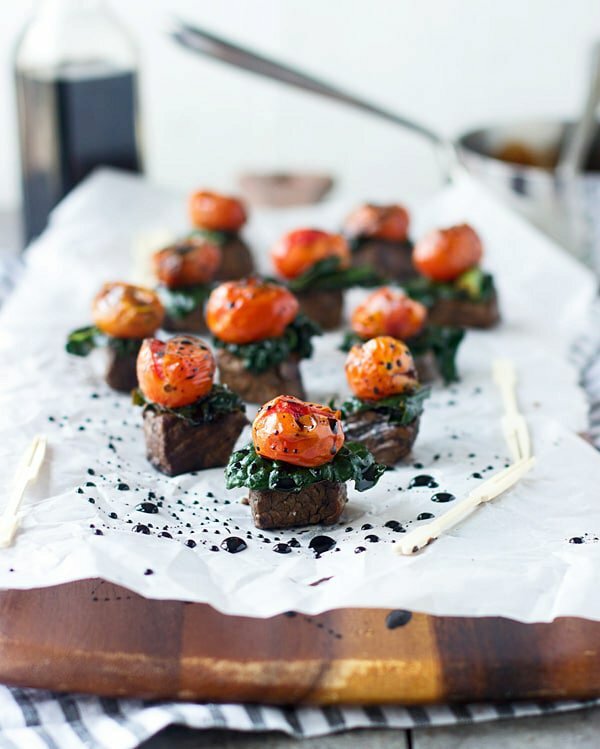 Successfully saved Balsamic Marinated Steak Bites with Kale and Roasted Tomatoes to your Calendar. You can also save the ingredients to your Grocery List. The perfect steakhouse meal in on all-encompassing bite! 16 ounces sirloin filet cut into 30 bite-sized pieces ¾ cup balsamic vinegar, divided 2 tablespoons canola oil, divided 30 cherry or grape tomatoes 2 cups kale 1 large garlic clove, minced Cocktail pics.